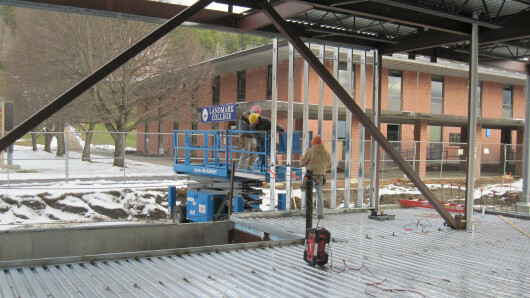 Despite the chilly Vermont weather (9° when the photos to the right were taken), construction at Landmark College is progressing. 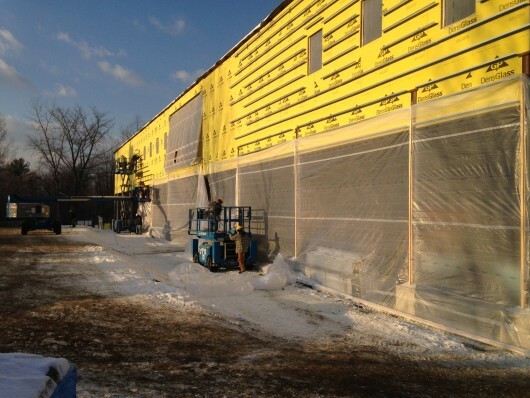 The building is now almost completely wrapped allowing work to proceed shielded from the elements. 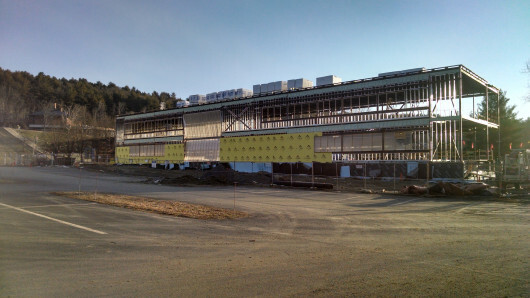 Over the upcoming winter months the building will be completely enclosed and work on the interior will begin. The MacFarlane Science, Technology & Innovation Center will provide the Landmark College campus with new science classrooms, laboratories, and common spaces. 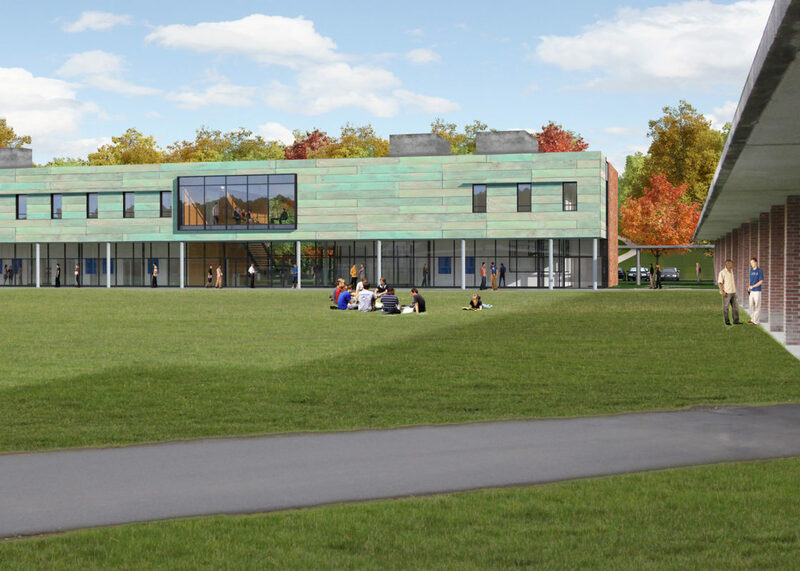 This project resulted from a close collaboration between Fradkin & McAlpin, the Landmark College administration, and design/build firm Breadloaf. For a detailed description of this project and to see all of our education projects, visit our Portfolio. Fradkin & McAlpin Architects is proud of our ongoing project at Landmark College. If you would like to receive similar updates in your inbox, please sign up for occasional email here: Sign up!